Joint replacement surgery/Joint Arthroplasty is a surgical procedure where the arthritic/worn out joint surfaces are replaced with metallic artificial prosthesis/implants made of titanium/cobalt-chrome-molybdenum alloy/ gold etc. These prosthesis are manufactured after long research and aim to nearly restore the normal joint anatomy to variable extent. 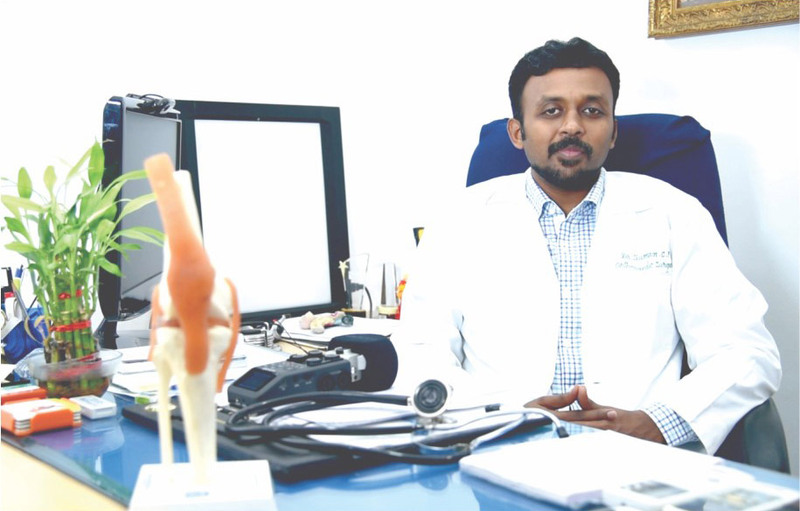 What are the indications for joint replacement surgery? Joints damaged due to tuberculosis/gout/infection etc..
What are the symptoms of joint arthritis? Pain, swelling, deformity, difficulty in bending the joint, difficulty walking (lower limbs), difficulty lifting weights (upper limbs), reduced activities of daily living are some common symptoms. What is the purpose of performing joint replacement surgery? The main purpose of Joint replacement surgery is Pain relief. Other aims include improving the range of movement of Joint and mobility. Are there any signs to know that I need joint replacement surgery? Which joints are suited for this procedure? Knees and Hips are the usual joints for replacement surgery. Shoulder, Elbow, Wrist etc are the other joints. In conditions like Rheumatoid arthritis, the finger joints can also be replaced with suitable prosthesis.